PROTECTING ISRAELI ‘SETTLERS.’ A little Palestinian girl makes her way through Qitoun checkpoint on her way to school carrying a balloon. It is the beginning of the Eid holiday (Christian Peacemaker Teams photo, 22 September 2015). JERUSALEM (Ma’an) — Israeli forces raided the Al-Aqsa Mosque compound on Monday and deployed heavily in the courtyard, leading to clashes with Palestinian worshipers ahead of the Jewish holiday of Sukkot. ____Officials from the Palestinian Authority Ministry of Endowment told Ma’an that dozens of Israeli forces raided the holy site and fired stun grenades and rubber-coated steel bullets “haphazardly” in the area. ____Sources with the Jordanian-run organisation that administers the site, the Waqf, told AFP that police stun grenades provoked four fires inside the building that were brought under control. 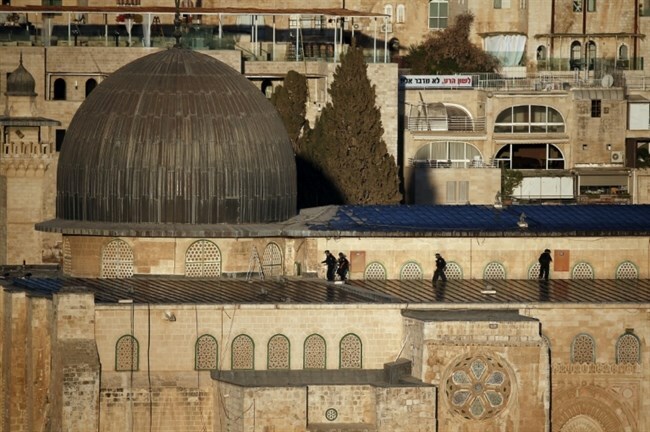 ____Around 15 snipers deployed on the roof of the southern mosque, while Israeli forces in riot gear were stationed in the main courtyards. – Jeremy Salt is an associate professor of Middle Eastern history and politics at Bilkent University in Ankara. ____From the very beginning of the Zionist venture up to the present day Israel has been faithful to its own ‘principles’. In no way do they confirm to the principles of international law and indeed, Israel can only remain what it is by living permanently in breach of international law. 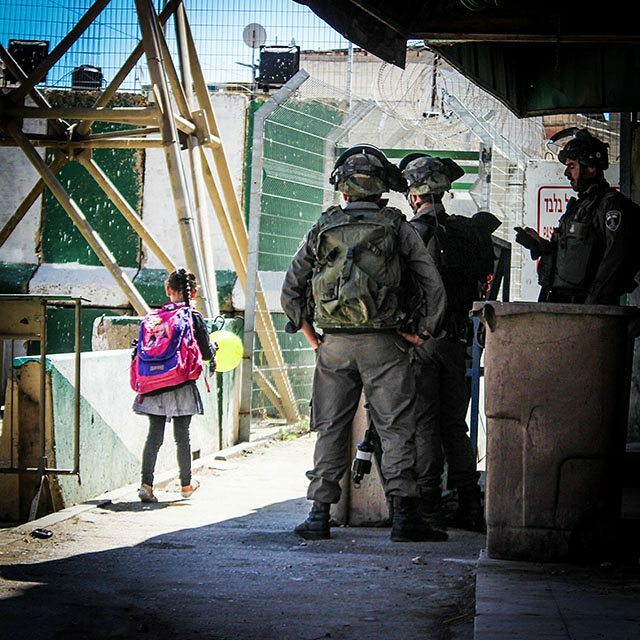 The occupation forces arrested four children from the village of Al-Tur east of the walls of the Old City of Jerusalem on Monday early morning. ____Sources from the village explained to Wadi Hilweh Information Center that the occupation forces raided several houses and arrested four children aged between 11-13 years. Many Palestinians suffered the effects of tear gas inhalation, on Sunday evening, after several Israeli military vehicles invaded Teqoua’ town, east of Bethlehem. Soldiers also kidnapped a teen in Jerusalem. ____ The Israeli invasion into Teqoua’ town led to clashes between the soldiers, and dozens of local youths; the army fired gas bombs and rubber-coated steel bullets causing many residents to suffer the effects of tear gas inhalation. Why is the Israeli army refusing to release its footage from the shooting of 18-year-old Hadeel al-Hashlamon? Israeli soldiers shot to death Hadeel al-Hashlamon, 18, in Hebron last week while she was apparently on her way to school. Found inside the black bag she was carrying were notebooks, a blue Pilot pen, a brown pencil case, a cellular phone, and other things girls of her age take to school. ____The IDF Spokesperson says that the metal detector at the urban checkpoint beeped when she passed through it, and that she ignored orders to stop from the soldiers, who the shot her. It was then discovered that she had a knife, and when she still didn’t stop they shot her some more.